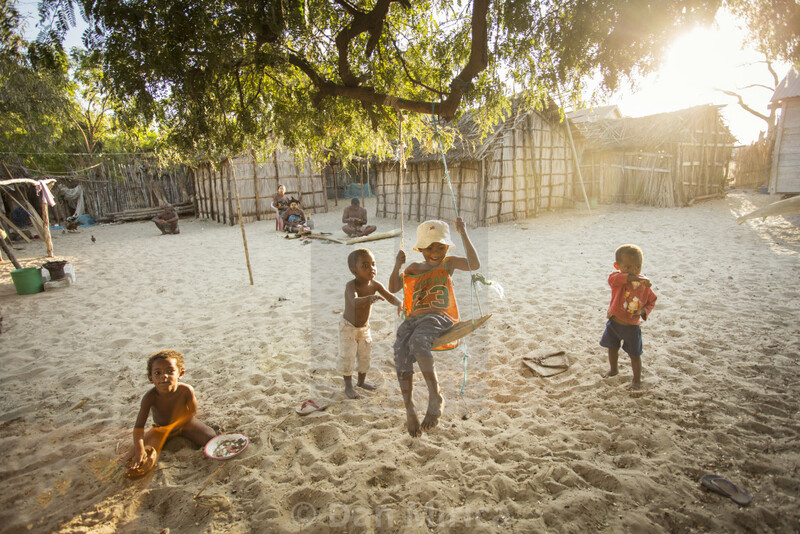 MADAGASCAR, MORONDAVA - OCTOBER 4, 2016: Unknown children playing with joy in a small fisher village near to Morondava. Madagascar, Morondava. October 4, 2016.